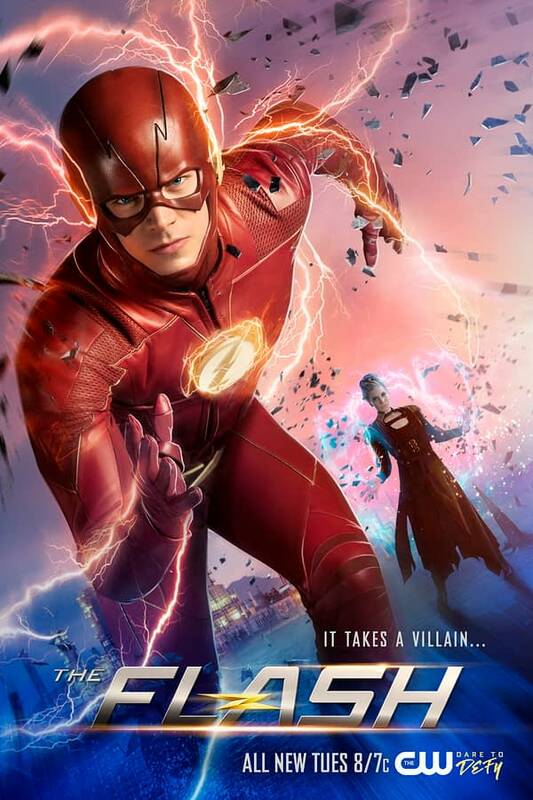 I like when The Flash puts out posters for each episode, it makes it feel a bit more comic book-ish and the posters are the covers of the issues / episodes. Last week the put out a poster for Therefore She Is that featured the Flash (Barry Allen), Vibe (Carlos Valdes) and Gypsy (Jessica Comacho) in a setting that made sense for the episode. Now they’ve released one for the next episode, Harry and the Harrisons. THE TEAM TURNS TO AMUNET BLACK FOR HELP — With DeVoe’s Enlightenment device nearly complete, in order to disable it The Flash (Grant Gustin) and his team must put their faith in an unlikely ally — Amunet Black (guest star Kattee Sackhoff). Meanwhile, Harry (Tom Cavanagh) hits an all-time low when the “Council of Wells” kicks him out but then Cisco (Carlos Valdes) introduces him to the “Council of Harrisons.” Kevin Mock directed the episode written by Judalina Neira & Lauren Certo (#421). Original airdate 5/8/2018. The Flash airs Tuesday at 8 PM on the CW. The Flash — Image Number: FLA_S4_WK2.jpg — Pictured (L-R): Grant Gustin as The Flash and Katee Sackhoff as Amunet Black — Photo: The CW — ÃÂ© 2018 The CW Network, LLC. All rights reserved.